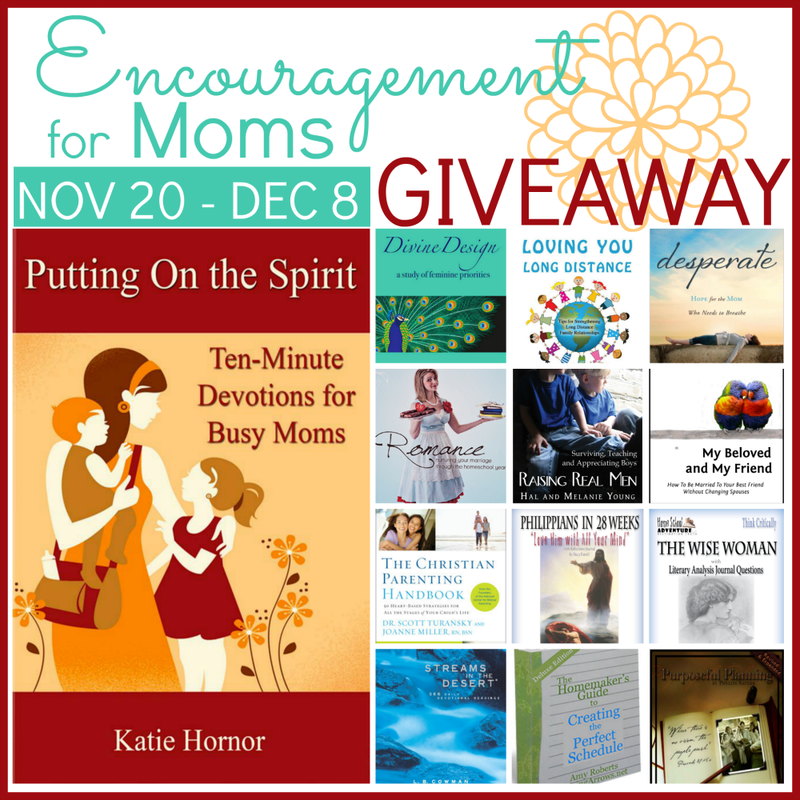 I’m so excited to be on the launch team for the book, Putting On the Spirit: Ten-Minute Devotions for Busy Moms by Katie Hornor. These devotions are perfect for the Mom who feels the need to be a Super-Mom, like me, but finds herself failing at it daily. Short, sweet and to the point but packed with so much love and support. Each devotion speaks right to the heart, relating to a particular verse of the Word of the Bible to reach Moms right when they need it most – in the midst of the daily struggles to live life. 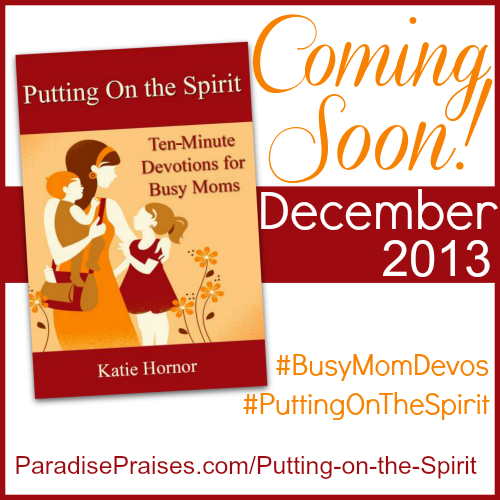 Putting on the Spirit: Ten-Minute Devotions for Busy Moms is set to be released on December 9th with an accompanying workbook to help work through each daily devotion. Join in on this wonderful giveaway today for a chance to win your own digital copy of the book! I promise you will love it as much as I do! Be sure to check out Katie’s book, Loving You Long Distance.